Jai Breitnauer takes a look at exercise, nutrition and technology trends that are on the radar right now. For more inspirational ideas, products and solutions to help make your life better, pick up the latest issue of Living Well at your nearest Unichem. Pronounced ‘bar’, Barre fitness is a type of strength training that has its roots in ballet. This move to a more tailored and specialist fitness programme with a focus on the personal is what has enabled Barre to gain momentum. Kelly has also noticed a more ‘home and hearth’ approach to ingredients taking hold, with a focus on easily accessible ingredients like cauliflower and broccoli. Number one on the list of the top fitness trends for 2016, as released by the American College of Sports Medicine recently, is wearable tech. Gadgets like the FitBit and Apple watch have really taken off, especially with the inclusion of smart heart and sleep monitors. But the next generation of wearables are, in fact, trainables. “Fitness wearables give you a lot of data about your habits, without actually giving you any beneficial advice when you need it – at that exact moment”, wearables expert Oded Cohen said in a recent interview with US magazine, Shape. Recently published research from Northwestern University suggests that if you’re not taking an active role in monitoring your own movement, then you’re not really thinking about moving, and this reduces motivation to get active. “A trainable is a wearable that accurately gives real time feedback to maximise behavioural or physical change,” Cohen explains. Trainables are already on the market in the US. For example, UpRight is a posture training wearable that went on sale in October 2015. It’s a pad you attach to your lower back that gently vibrates when you slouch. 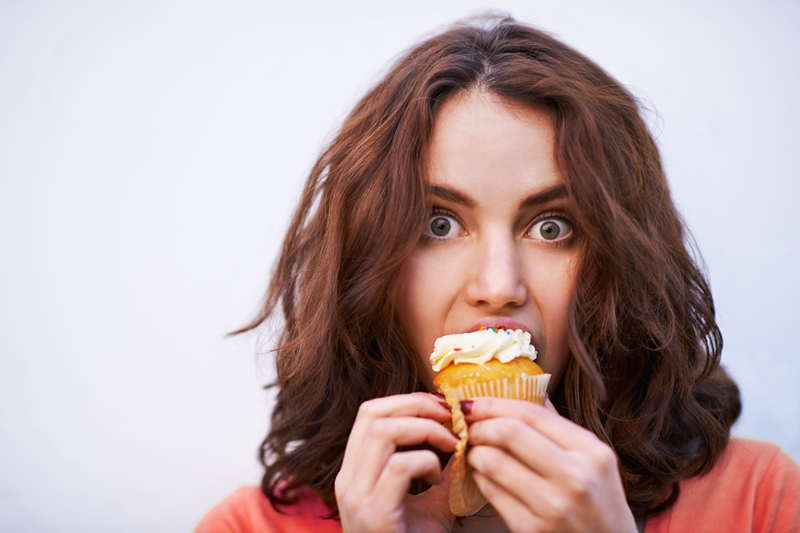 BitBite is a device you wear in your ear that monitors your eating habits, reminding you to chew slower, or when to have a healthy snack. There’s also a lot of momentum – and investment – behind the integration of wearable tech and clothing. While it will be a few years before the posture correcting T-shirt becomes mainstream, there’s no doubt that wearable tech is set to become a part of everyday life. Another hit on the American College of Sports Medicine’s top fitness trends list is incidental exercise. Gym memberships are not for everyone and netiher is joining a sports team. A lot of the focus in New Zealand is on making physical activity a normal part of the Kiwi day. Christchurch has spearheaded this movement with its ‘All Right?’ wellbeing campaign launched in 2013 to improve the mental health of Cantabrians during the earthquake recovery by keeping them active. With many leisure centres and pools closed due to damage, the focus was on taking to the streets. The campaign includes the AWA trails project – a series of walking tracks designed by school children. In Auckland, increased investment in the cycle network means it’s easier for inner-city residents to pedal their way to work and relieve some of the stress on the motorways. Wellington’s ‘Green Prescription’ targets residents who are active for fewer than two and a half hours per week, giving them tips for incorporating activity into their day. Just getting off the bus a stop early and walking the rest of the way can improve your fitness immensly. Don’t feel you have the time to walk to work? Don’t panic. A study published in the Clinical Journal of American Society and Nephrology in 2015 found that increasing casual walking by as little as two minutes an hour through an average day, can help you live longer. What does that mean in reality? Get up and walk while you are talking on the phone. Make that cup of tea yourself instead of accepting an offer from a work-mate. If you thought trampolining was child’s play, think again. Rebounding – jumping on mini-tramps – first became popular in the ‘80s after a NASA study in association with the University of Kentucky demonstrated Rebounding had significant wellbeing benefits. One of the biggest was the relatively low impact of the exercise (around 85 per cent of impact is absorbed by the bed of the trampoline), compared with its high intensity. By 1984 the ‘craze’ for Rebounding in the US and the UK had pretty much died out. But the latter part of 2015 saw a Rebounding resurgence overseas, as well as locally. Rebounding can take many forms and Rebounce, a UK-based Rebounding gym that offers a 40-minute, dance-based workout on mini trampolines, is seeing much success in London. It’s essentially a type of strength training with a bit of cardiovascular thrown in for good measure. It’s also great for older people, or those with osteoporosis, due to the low impact nature of the sport. One of the more obscure benefits to Rebounding is the cleansing of the lymphatic system – the network of tissues and organs that help rid the body of toxins. “When you’re on the Rebounder, the 'push’ motion forces the lymphatic valves to open and the 'jump’ motion closes these valves at the top of the jump,” says sports scientist and fitness director of London-based Rebounce UK, James Winfield. “This creates a 'pump’ effect which moves and recycles the lymph and the entire blood supply through the circulatory system many times during the course of the rebounding session, providing a free-flowing system that drains away the potential poisons.” Toxins processed by this system include dead cells, fat, viruses, and heavy metals. Getting rid of these toxins efficiently not only improves your overall health, but can help you shed excess kilos as well. While New Zealand is yet to get its own dedicated Rebounding studio, plenty of classes are springing up at gyms nationwide; keep a lookout to get your bounce back. This year we’re seeing a new tea trend, where medicinal, wellbeing and enjoyable beverages mold into one. Sandra believes this increase in medicinal tea drinking goes hand in hand with another trend, pill fatigue. Extracting properties from plants using hot water is a tradition that dates back thousands of years. Sandra notes the increase in clinical trials is giving scientific clout to the claims made by complementary therapists for centuries. Studies suggest green tea has antioxidant properties, chamomile helps anxiety and valerian is good for insomnia; so why wouldn’t people want to access these affordable and safe therapies? 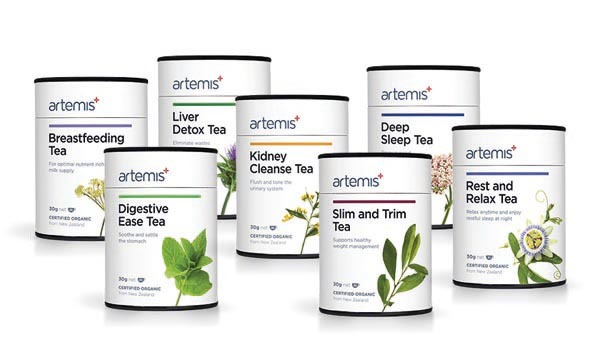 Artemis is New Zealand’s only medicinal grade tea producer, and they pride themselves on using safe, high-quality ingredients that are certified organic. They also have centuries of experience behind them. If you are drinking tea for wellbeing as well as enjoyment, then just make sure it has come from a legitimate therapeutic source.